Over the past few months, I have had the pleasure of participating on the planning committee for the 2016 Los Angeles Day of Remembrance program. I joined representatives from the Japanese American Citizens League (Pacific Southwest District), the Manzanar Committee, Nikkei for Civil Rights and Redress, and others at JANM to organize the annual event which gathers members of the community to reflect on the enduring legacy of Executive Order 9066. That directive, signed by President Franklin D. Roosevelt on February 19, 1942, authorized the forced removal and incarceration of over 120,000 people of Japanese descent during World War II. Maytha Alhassen addresses the audience at the 2016 Community Day of Remembrance. Photo by Ben Furuta. The program was held last Saturday before a standing room only crowd at JANM’s Aratani Central Hall. Entitled Is It 1942 Again? Overcoming Our Fears and Upholding Constitutional Rights for All, the program honored the courage and perseverance of the women, men, and children who were incarcerated during World War II, while challenging the audience to apply the lessons of Japanese American history in today’s context. Following recent terrorist attacks in Paris and San Bernardino, American Muslims, Sikhs, South Asians, Arab Americans, and refugees attempting to enter the United States have been the target of hateful acts and caustic rhetoric—a chilling echo of the Japanese American experience during World War II. A distinguished set of speakers eloquently addressed this year’s theme. They included: event emcees Bruce Embrey (Manzanar Committee) and traci ishigo (Japanese American Citizens League); JANM Vice President of Operations and Art Director Clement Hanami; Anthony Marsh of the American Friends Service Committee, an organization that courageously opposed the World War II incarceration; and Maytha Alhassen, a Syrian Muslim American Provost PhD Fellow in American Studies and Ethnicity at the University of Southern California. Congresswoman Judy Chu. Photo by Ben Furuta. But no voice was more essential to the program than that of longtime JANM docent and Heart Mountain camp survivor Bill Shishima. Bill recalled his early childhood years spent near Olvera Street in downtown LA, and the grocery store and hotel his father operated there before being forced to leave them behind during World War II. Bill’s vivid description of the years that followed transported the audience to the foul-smelling horse stables of Santa Anita Race Track, where Bill’s grandparents stayed, and to the incessant dust storms of Bill’s eventual home, Heart Mountain camp. One by one, Bill recounted the traumas and indignities of everyday camp life—the degrading lack of privacy, the barbed wire fences and armed guards, the confusing and ominous loyalty questionnaire, and the promising student body president who volunteered for military service to prove his patriotism and was then killed in Europe. Bill concluded his remarks by reminding the audience of the “fragility of civil liberties in a time of crisis, and the importance of remaining vigilant in protecting the rights and freedoms of all.” He received a well-deserved standing ovation. Bill Shishima. Photo by Richard Murakami. 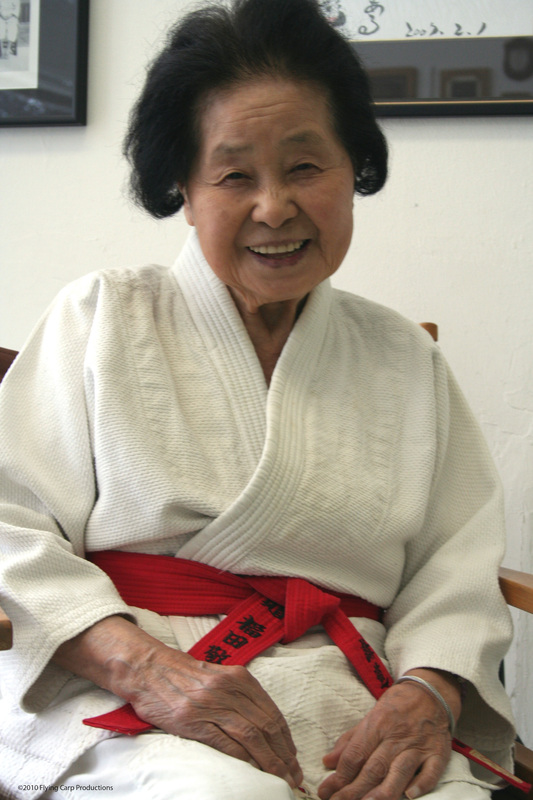 On Saturday, November 16th at 2pm JANM will be screening a full-length documentary chronicling the life long journey of the late Keiko Fukuda, a renowned pioneer of women’s judo. Yuriko Gamo Romer’s film, Mrs. Judo: Be Strong, Be Gentle, Be Beautiful, documents Keiko Fukuda’s decision to defy thousands of years of tradition, choose her own path, and become judo history’s only woman to attain the pinnacle 10th degree. A live demonstration of “Ju-no-kata”, a signature form of Fukuda-Sensei, will precede the film screening and will be performed by Robin Fernandez and Charmaine Galvez, with narration by Greg Fernandez Jundokai Judo and Jujitsu Club of La Mirada. 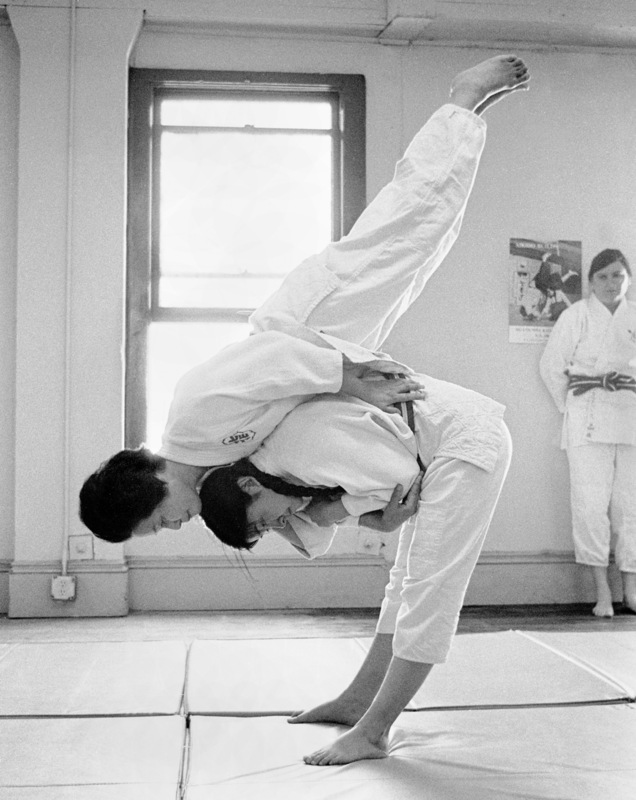 A Q&A session will follow screening with filmmaker Yuriko Gamo Romer and panelists who will discuss the legacy of Keiko Fukuda and the Japanese cultural traditions and relations that continue from Japan to the U.S. through judo. Don’t miss the Los Angeles Premiere of Mrs. Judo: Be Strong, Be Gentle, Be Beautiful, along with a special judo demonstration, and a Q&A session! If you’ve ever dreamed of being an Iron Chef but never got past making onigiri, we have a workshop—or three—for you! Come brush up on your Japanese cooking skills on Saturday, July 6, from 11:30 AM to 2:30 PM. The cost for all three workshops is $70 members, $80 non-members. First, Yoko Issai will teach you how to make tsukemono, or traditional Japanese pickles. Yoko grew up in a Japanese foodie family, using what she learned from them to become a successful cooking instructor. Then, discover how to make your family the envy of the lunchroom with one of Sonoko Sakai’s bento boxes. Finally, don’t miss a mochi tasting with baker Jenn Fujikawa! In this free with admission workshop, Jenn will also discuss (and sign copies of) her new cookbook Mochi: Recipes from Savory to Sweet!. Not only will this class be loads of fun, but you’ll also walk away with three new and impressive dishes! RSVP early, 15 students max. For all classes, workshops, and food tours, pre-payment is now required to hold your space. Please call 213.625.0414 or download the pre-payment form. Cancellations must be made 48 hours in advance or no refund will be issued. “Seinan” is an area in Southwest Los Angeles, California, where a thriving Japanese American community existed before World War II. Japanese American Living Legacy has gathered stories and personal experiences from people who lived in Seinan before World War II in the book published earlier this year, Seinan: Southwest Los Angeles, Stories and Experiences from Residents of Japanese Ancestry. Join us this Sunday for a program in partnership with JA Living Legacy. With moderator Ray Uyemura, four panelists—Ansho Mas Uchima, Minoru Shinmoto, Christine Uriu, and Thomas Shigekuni—will share stories about Seinan, including about the community’s religious groups, language schools, public schools, and social clubs. Come hear how Southwest Los Angeles was a thriving Nisei community that was almost wiped out with the forced removal and events of World War II. Presented in collaboration with JA Living Legacy and the Japanese American National Museum. Amy Hill’s “LOST AND FOUND, Life as I (K)NEW It” at JANM this weekend!